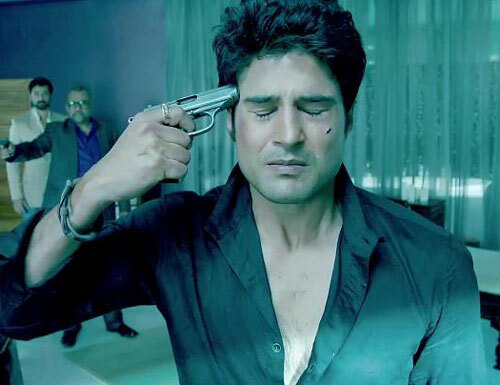 He made his debut in the critically acclaimed 2008 film Aamir and since then Rajeev Khandelwal has gone on to give outstanding performances in art house films like Shaitan and Soundtrack. The actor is most definitely drawn to the more Indie type films and with each new performance, Khandelwal challenges himself and takes on roles that are most definitely not your chocolate boy hero. For example, in Soundtrack, he played a DJ who was going deaf – the story was classical composer Beethoven’s story 2011 style. 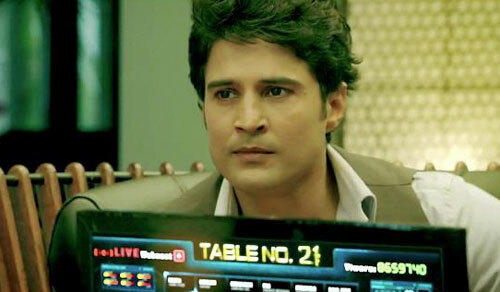 The actor once again digs deep, but in a different way, to play Vivaan in Aditya Datt’s Table No. 21. The actor says that this is not a character that is a mess like many of his other roles, but someone who has many layers and was a difficult role to play. A thriller at its core, the film also stars Tena Desai as well as Paresh Rawal in a dark character. Check out what else the actor had to say about the story of Table No. 21, working with Paresh Rawal, about director Aditya Datt and more! You seem to choose very interesting projects, what goes into your decision to do a role? I just go by my instinct. I do not really apply a lot of my mind – I do not have a blue print in my head. I just purely go by my instincts but somewhere subconsciously, I guess, I want to be part of projects, which at least attempts to break new ground. Which are not run of the mill, which is not something that has been attempted a number of times in the past. So maybe subconsciously somewhere I look for the potential to break new ground whether it works or not that only time tells. Not every time does the audience think I get it right, but in the least, the attempt should be to break new ground and bring something new to the audience. What was it about Table No. 21 that made you say I want to do this part and this film? I thought that the screenplay was pretty exciting and very interesting. And my character, in fact out of everyone’s characters, had lots of layers. So it gave me a fair amount of ground to showcase my talent and maybe to even increase my range as an actor. This was an opportunity where you would probably see me showing many colors and it is not just one damaged-filled character. All this put together, I think, was the reason why I said yes to this film. Was it challenging to play him because he does have so many layers? Yes, it was challenging. In fact, I said no to the film because when I read the script I thought it was a little out of my comfort zone. I thought maybe I would not be able to pull it off and do justice to it, but somewhere the director had confidence in me. I thought to myself: ‘Why am I running away from a challenge? You are an actor, you should be happy to get something which was a challenge’. Finally I agreed. It wasn’t, I would say, a cakewalk for me, but I think with little inputs from my director, from my co-actors, I think I did a decent job, if not very good. How would your character describe the story? That is a really difficult question. Generally it would be a very simple question to answer, but as far as this film is concerned it is very difficult. Because the layers of the character keep getting revealed as you watch the film. So if I tell you what my character is all about then probably you would get to know the full story line as well. So to help you understand I can just tell you I play a today’s guy. A guy who works for a corporate firm who has lost his job, but he has just won a free trip in a raffle draw to Fiji Island with his wife and they decide to take a break. They are a middle class, very ordinary, today’s couple. They reach Fiji and they are having fun. They meet this character played by Paresh Rawal, who offers to play a game with them where they can win 8 million Fijian dollars by just answering eight questions. We are kind of adventurous people and we take the challenge not realizing that the rule of the game is “If you lie, you die”. He is very serious about it because the game is being watched by millions of viewers on the Internet. This is the premise, but the film is not just about the game, because with each question you discover something else. And towards the end, I think, you will be left stupefied and wondering okay where did this come from but everything is justified and you understand what this whole film was all about towards the end. Tell us about working with Paresh Rawal in a dark villain role. I am glad that he is playing that character. He has broken his monotony with this film, because for the last few years he has been doing more light roles and comical roles. After a long time he has come back and done a serious and intense role. It was really heartening to work with someone like him, who was not just inspiring but was very encouraging. He keeps encouraging people like me. He was one of the first guys who walked up to me after my first film had released and patted me on the back for my performance. He actually introduced himself as Paresh Rawal, which was quite funny (laughs). He is a very grounded, very warm and at the same time gives you a lot of strength. That is how I like talking about him. He gave me a lot of strength to my self, my belief, my conviction, the way I approach my career, my decisions. He was the one who always told me, ‘You do not need to worry in your life, just go with your self belief and your instincts and I can see that you will not go wrong anywhere in your career’. So that gave me a lot of strength. What about working with Tena Desai? You are very fortunate if you get a co-star who is as committed, if not more, in a project. Who is very sincere, and who, being girl, doesn’t really make you feel as if you working with a woman who is delicate, who is more concerned about her looks and who is more concerned about what she is going to wear. Thankfully Tena was a very competent actor who left all these make up and costume stylings and everything to the director. She did not even really bother. She had to be told that you need a touch up girl. (Laughs) We were shooting in Fiji Island and we didn’t have the best of the comforts. It really was very helpful for the whole unit that Tena was really dedicated and not really delicate and wouldn’t really want touch ups after every three shots. She was very very supportive. It was great. She is full of life, she loves to gossip so a typical girl (laughs), but at the same time she is very hard working. I am sure people are going to really like her performance. What do you think the director brought out in you as an actor? What can audiences expect when the come to see Table No. 21? Something refreshing. Something promising. Something that may just keep you entertained and leaves you with a thought in your head. Somewhere in your head, I am sure, you may applaud the film and applaud the effort. Everyone has a different taste so I hate saying that everyone is going to love my film. But I am hoping most of us who have led a normal life, gone to college, who has gone ahead and worked, who got married and has achieved life in general, I think, somewhere you are going to connect to it. If you are a cinema lover you may just find something very, very refreshing. If you love thrillers, this one is for you. What would you say about your film career so far? I am really happy and satisfied except I feel I should do a couple more films in a year because there are a lot of people who complain to me all the time that we do not see much of you. Parting that I think I am very satisfied because I have followed my heart, I have followed my instincts and I have done things that I believed were the best for me. I have done just 5 films and I think Table No. 21 will also be one of those films, which will be appreciated for its content and for all of its performances. They were all hard-core films. I am glad that I would not want to erase any film that I have done because I have been extremely, extremely happy being a part of all those films. Wait for the announcement soon. Till then keep guessing. I have signed the next one but I don’t want to talk about it right now. Table No. 21 is in theaters now! In case you missed it, check out the trailer!